To view all Twin Posts, please click here. Harry and Matthew were born at 33 weeks and 1 day. I had an uncomplicated pregnancy and delivered them by planned c section on 11th April 2013. They weighed 3lb 8oz and 4lb 2oz. Harry is the oldest by 1 minute but weighed the lightest at birth. When they were born, they spent 19 days in SCBU but only to feed and grow. 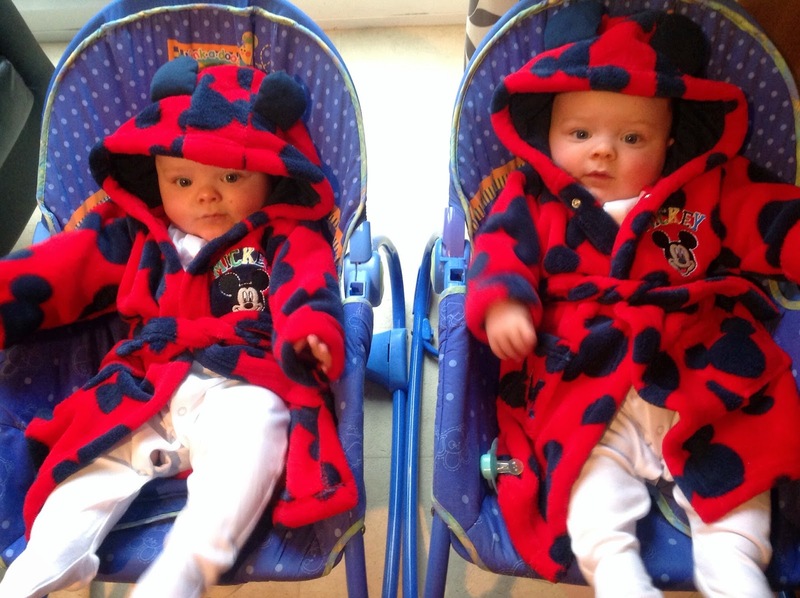 Harry and Matthew are Mono chorionic - Mono Amniotic twins which makes them identical. 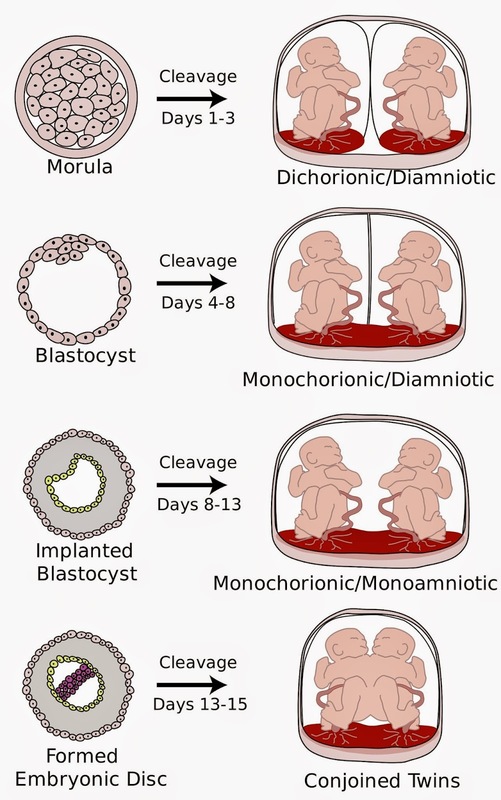 They are also rare due to the mono amniotic part - we didn't know this until they were born. Things I love about having twins. - double kisses and cuddles. - looking at their little heads, from the back, when they are side by side in the pram. This is even cuter when they both have their furry hoods up. - giving one twin something and then noticing him wait until the other twin gets the same, before he eats or drinks the item. - Matthew waits with his and his brother's bottle, at the bottom of the stairs, while I bring Harry down in the morning. - They kiss each other when they are getting their nappies changed. As they are getting older, they are beginning to object to this a bit more lol! - watching them stop what they are doing and then dancing at exactly the same time, in exactly the same way to something on Cbeebies. - watching them playing together with their toys. - hearing the conversations they are beginning to have with each other, at the moment. I will add to this list as things crop up. 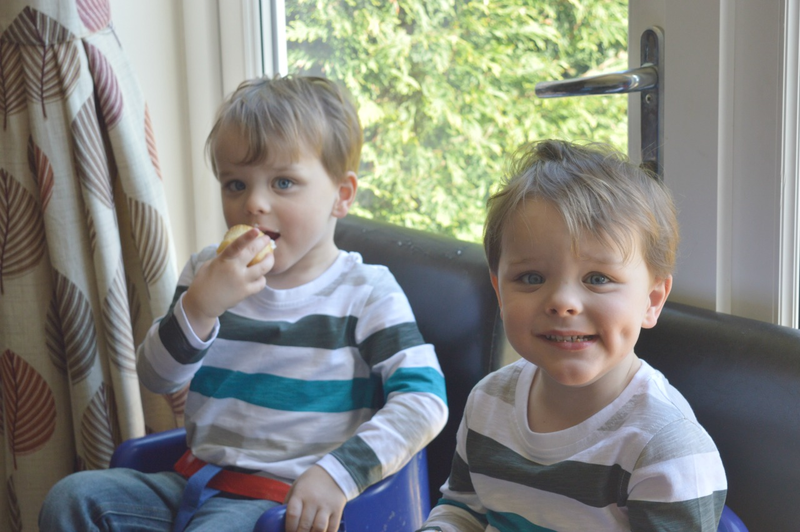 Why not check out these posts aimed specifically at raising twins. If you would like to ask questions about raising twins, please just send me an email. I'm not an expert, but I'll tell you what worked for us. Hi Keri. Thank you so much for your lovely comments. Why not join in with 'plan with me' . August layout is coming up soon.